As I play an advance copy of the newest version of Nintendo's beloved Animal Crossing games, I've again been pondering the nature of Tom Nook, a character who could teach Bowser and Mother Brain a thing or two about tormenting a Nintendo gamer. Tom Nook, if you don't know, is one of the recurring characters in this series of games that involve setting up and living in a cute little village. Typically, these games start out with you having to take a loan out from Nook, who is, by the way, a raccoon. You have to have a house in the game. You need the loan to pay for one. So the games start with you being put in debt by this guy. Nook then makes you work for him to pay off the loan and seems to be laughing at you all the way. In the new game, June's Animal Crossing: New Leaf for Nintendo 3DS, you owe him a little bit of money in the beginning but are actually free of obligations from him quite quickly. Still, the memory of a more aggravating Nook still burns. 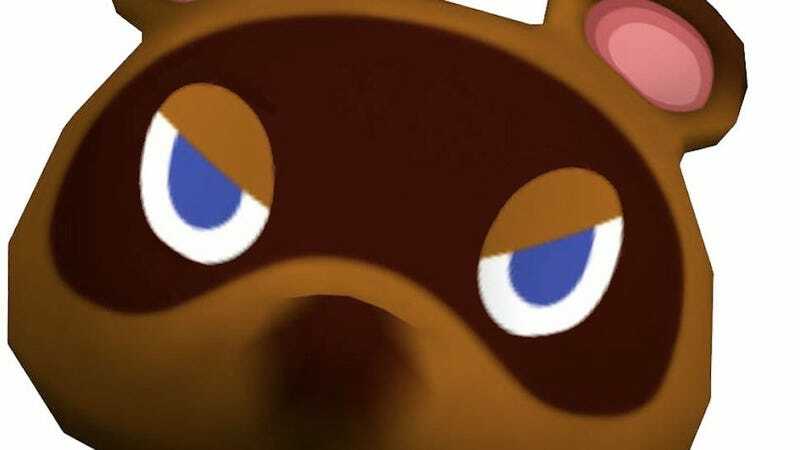 I'm not alone in seeing the evil in Tom Nook's soul. In fact, when I was discussing the game recently with its top three Kyoto-based creators of Japan, we were talking about the idea of there being enemies in the unusually-friendly Animal Crossing series. The game's producer, Katsuya Eguchi, told me that he thinks the bees or scorpions that you occasionally agitate in the game count as enemies. "Can we all agree that Tom Nook is kind of a bad guy as well?" I asked. "No matter how much you work, he just takes all the money from you," Eguchi replied, through a translator. "I hate that guy," I said, provoking more laughter. "We think he is very misunderstood," one of the game's two directors, Aya Kyogoku, said. "He’s just passionate about his business. He’s not like a loan shark. He doesn’t add a handling fee or anything like that. He can wait as long as it takes for you to pay back. He’s not as bad as other people might think he is." That might be true, but Tom Nook will always be Animal Crossing's Ganon to me. I'll have more from my conversation with the new Animal Crossing's creators in the coming days. Subsequent coverage will be a little more serious. It's just that this Tom Nook guy... he really gets to me.